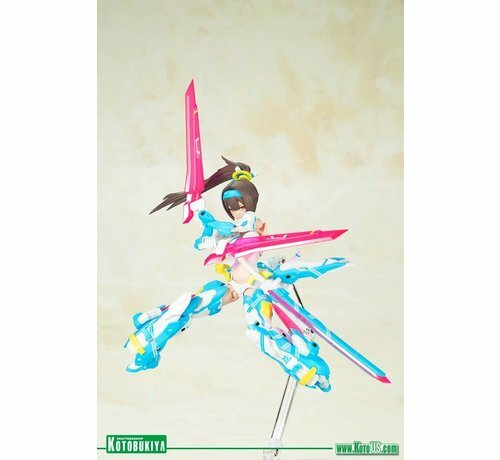 ASRA ARCHER AOI is the latest entry in the Megami Device series, which masterfully combines beautiful girls and mechs.Megami Device is a series of plastic model kits that allow you to assemble your own fully poseable model and equip her with weapons and armor. Megami Devices utilize a main body known as a “machinika” designed by Masaki Apsy, which are then customized by a range of guest designers. 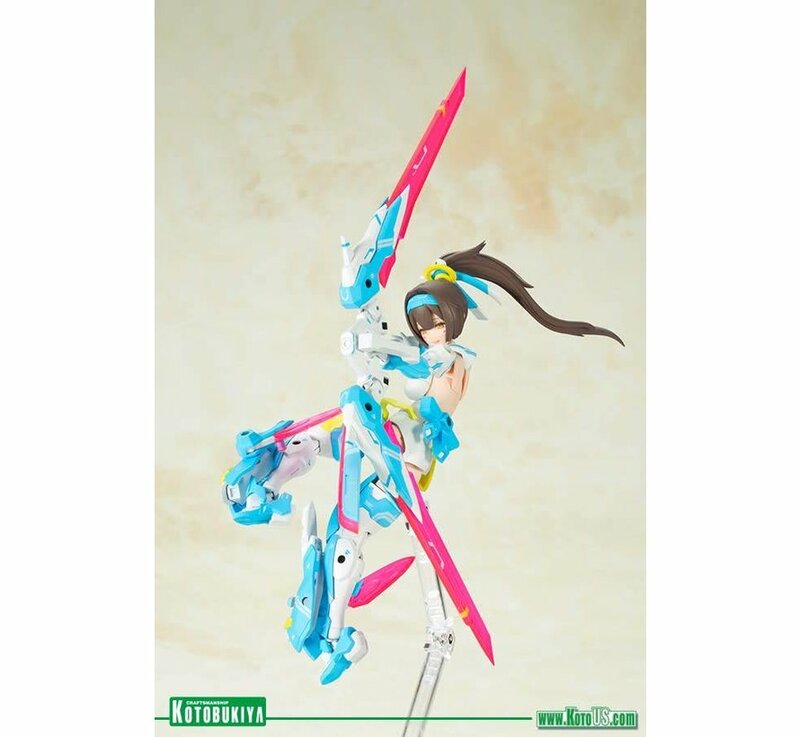 This time’s designer is Nidy‐2D! The hair parts for this color variant of ASRA ARCHER are made using a new mold and a new color of plastic. The kit includes bare arm and leg parts. 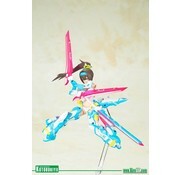 The character model is made with a new color scheme, and the weapon blades are made with clear pink plastic. The model kit includes new decals for the eyes and body markings. 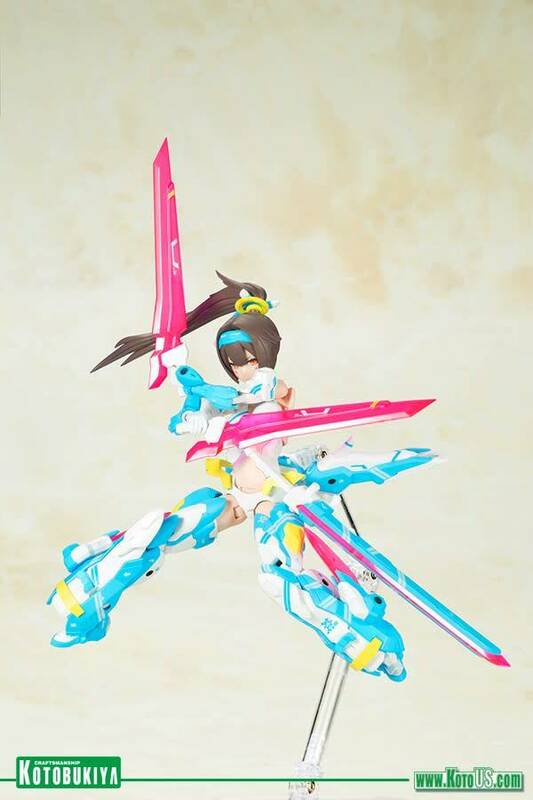 You can display the model in the special “Samurai Mode” by using parts from the previously released ASRA NINJA model kit. The kit includes a variety of weapons, including a sword and longbow, allowing you to recreate different battle scenes. 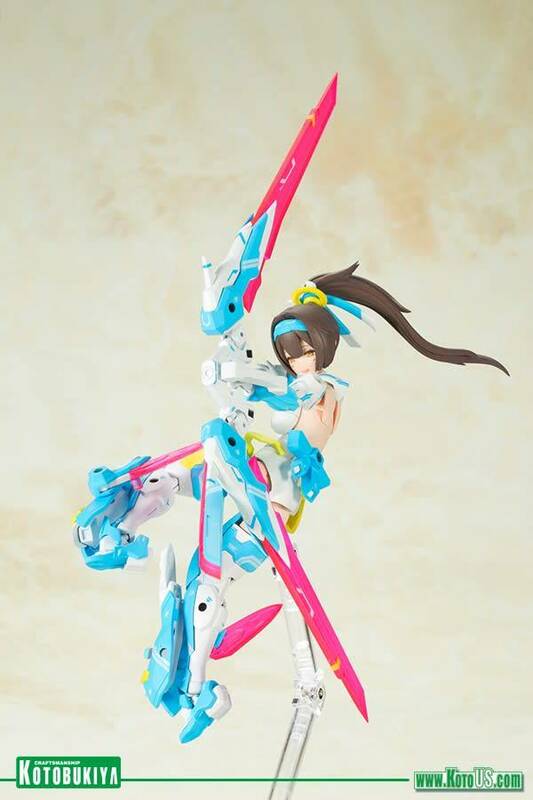 The kit includes 5 sets of PVC hands that are compatible with weapons from the M.S.G, Frame Arms, and Frame Arms Girl series.